Freeman Street Carpark, NR23 1FD – a new car park has recently opened behind Freeman Street in Wells-next-the-Sea providing coach parking for the town along with car parking spaces. Both the town and beach can be accessed via a pathway from the eastern side of the car park. 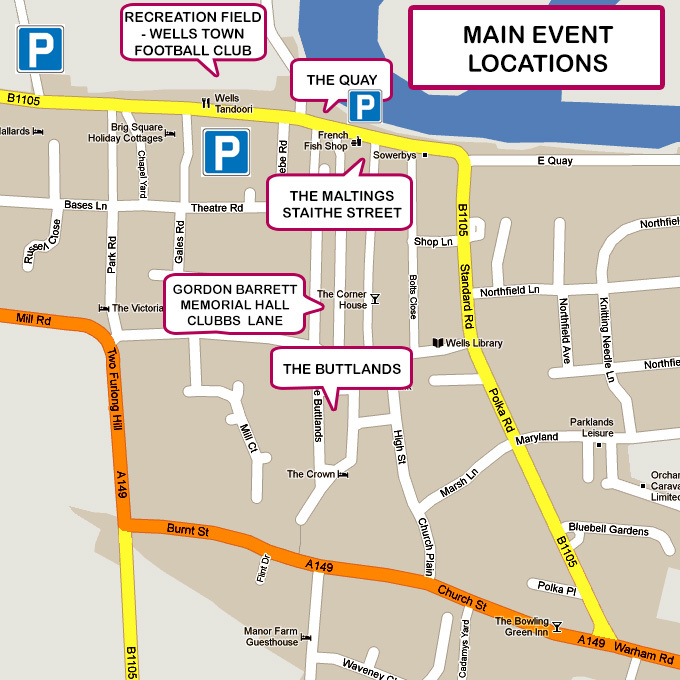 This map shows where most of the Carnival events are held in the town, any events taking place in other locations (eg. Teddy Bears Picnic, Beach Party, Sandcastle Competition etc.) will be shown within the programme.